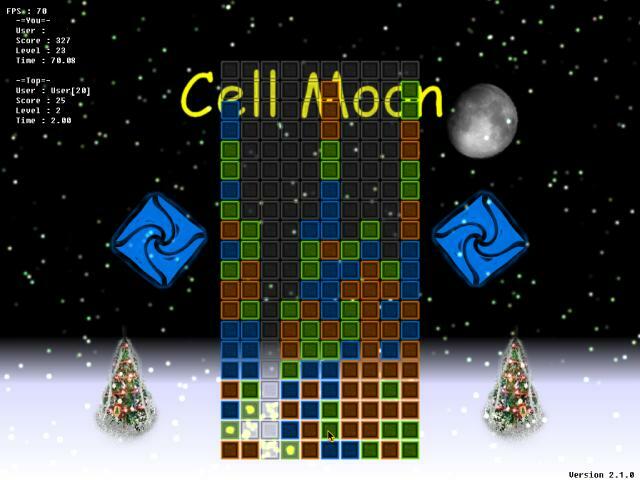 CellMoon - Packed with dizzying graphics. Packed with dizzying graphics, incredible special effects, unforgettable online record table, fundamentally tricky gameplay and much more, this game is sure to entertain. General description: There is a field in which there are several types of chips (for example: red, green and blue). The player's task - 'clicking' on the chips, removing the adjacent chips of the same color (all, forming a shape - 'three in a row', 'four in a square', etc.). The top chips fall to fill in the gaps left by the removed chips. The goal is to remove all chips from the field.